We made the decision to design and manufacture Nuimo Control in Germany. We’re not alone. In this post, we’re discussing 5 reasons why hardware startups should consider manufacturing locally rather than overseas. 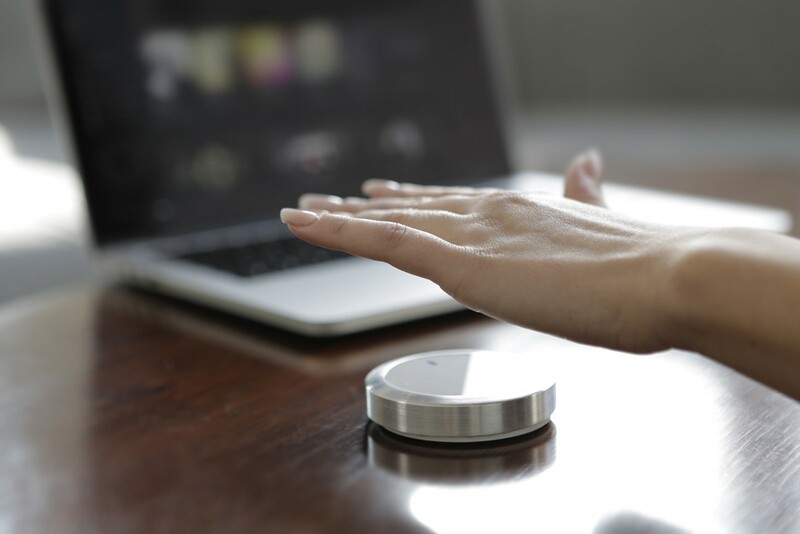 We made the decision to design and manufacture Nuimo Control in Germany. We’re not alone. Studies of BCG show that 54% of large manufacturers are planning or considering ‘reshoring’ from overseas to their origin. So what’s behind this? In this post, we’re discussing 5 reasons why hardware startups should consider manufacturing locally rather than overseas. This post will be relevant to you if you’re interested in hardware startups, manufacturing or the internet of things. If you want to be one of the first to receive the Nuimo Control and support our mission of creating a new generation of natural user interfaces. Making the step from prototyping to manufacturing is still the most challenging part for any hardware startup. This is what makes hardware so hard but it’s also the reason that “when you get things just right in hardware it’s like you’ve found the holy grail of tech.” There are a million things you can do wrong during this phase. For a large company, this means a million things to work on. For a startup, it means a million ways to die. One of the core principles of the “lean startup” or “design thinking” methodology is the process of building quick prototypes, letting alpha / beta-users test them, learn from their usage and iterate. With software, this is easily done by sending a link to your user. With hardware, this is a whole different story. The first point might seem obvious but since we’re talking about physical objects, your beta-user and prototype both need to be in the same geographic location. Since you probably won’t have the money or time to send a prototype to one of your users, you as the developer will have to be in the same physical location as well. You might say that you can do all of this first and then send your design overseas for duplication. Unfortunately, that doesn’t work. There are many restrictions on what a specific manufacturer can do for you due to machine limitations for example. That means that there will be redesigns due to manufacturability as well. If you want to benefit from the lean startup approach and an iterative design process, you as the developer, your manufacturers, your users and your prototype need to be in the same physical location. Once you manufactured your first batch and have gone through your first redesign (which is very likely to happen), it might make sense to manufacture overseas. Until then, you should consider local manufacturing. Manufacturing locally implies that you will involve a whole range of parties like suppliers, manufacturers, economic institutions, hardware startups, friends (who stay up until 4 in the morning to help you with cnc milling; thank you so much Rene) and friends of friends. These are all people who go through the struggle with you and will be essential to the growth of your company. If you choose crowdfunding as your go-to-market strategy for example, this can be essential. Data shows that if you reach 20% of what you’re trying to achieve on the first day, there is an 80% chance of getting fully funded. That means that crowdfunding becomes less about the entire campaign period and more about the people that you can bring to the table on day one. People love things that are made locally. People prefer things that are made by people who they can relate to rather than a closed factory somewhere around the globe. A good and successful example is San Francisco based Dodo case. Manufacturing locally allows you to document the process of developing and making your product. Contrary to still existing believe, people do not only see value in the end product. People care about the process of designing and manufacturing and see great value in it. It creates a much deeper feeling of appreciation for the product. According to Iliya Polyakov, co-founder of Revolve Robotics, an optimistic production cycle in China is around 6 months, this is once the product design is fully locked in and nothing extraordinary happens (which probably will). Manufacturing locally took them only three months. This is an incredible advantage in terms of speed. It allows you to generate revenue earlier and enables you to gain important insights about your customer and next version of the product. If you assume that a startup is typically 10 times faster than a large company, 3 months is a lifetime in which you can get a lot done. If you’re based in Germany, there is a 7 hour time difference to east Asia, if you’re based in California, it is 16 hours. While it usually takes 24 hours to resolve an issue in East Asia, it will take you 5 minutes to call your local manufacturer. Once you start manufacturing hardware, you will hear the word “minimum order quantity” (MOQ) a lot. The business model of overseas manufacturers is based on large batches and steady revenue. That’s why many / most manufacturers require a minimum order quantity of units you need to order. This typically starts at 5,000 pieces. If you need to manufacture 5000 units of a product that costs $50 to make, that’s 250 thousand dollars. This is tied capital that you either don’t have or that you might need to pay employees or invest in marketing. Local manufacturers typically don’t require MOQ’s. Manual labor is still much cheaper overseas (by factor 10 for example). This is changing however and is becoming obsolete through the fact that robots are becoming more specialized and cheaper. Large companies like Wago for example manufacture parts in Germany and then send them overseas only for manual assembly. That’s where the real cost savings are. If you design your product in a way that it doesn’t require a lot of manual work, there might not be a significant cost difference. According to Valder and RM, medium sized, automated production comes at same price for local manufacturing and for overseas production. Bolt, one of the best hardware accelerators suggests a budget of ~$3.5k per person for travel and expenses for a one week trip to China. This can add up to substantial cost which is often hard to predict. As mentioned before, manufacturing in China means moving a big machine into motion. It is hard to start and is hard to stop once running. A full manufacturing cycle in China can take 6 months (if you don’t need to change a design; which is unlikely). This lost time translates to lost money since you could be generating revenue and work on your product. Starting a startup consumes body, mind and soul. It is the first thing you think of in the morning and the last thing before you fall asleep. Many people say that starting a startup will be the hardest thing you will ever do. That’s why you try to stick to standards, outsource irrelevant tasks and try to make everything as simple as possible so you can focus on core problems. Worrying about language barriers, overseas production or time delays is the last thing you want to worry about. If you manufacture locally, you can reduce this mental load. Everything is close, understandable and it is much easier for you to stay on top of things. We think that this is a neglected but one of the most important points. It allows you to focus on your users, product and marketing and let’s you sleep at night. Manufacturing overseas might sound like an exciting journey and it certainly is but it might make sense to start locally. It allows you to learn essential lessons and avoid crucial mistakes. Once you’ve gone through your first redesign, you can still decide what makes more sense to you.